Let’s Plays (実況プレイ) have been around for a while now. Watching other people play video games while narrating and discussing the experience in Japanese has proven to be fun and meaningful to your language progression. I used to be addicted to them, and still enjoy the occasional one today. Aren’t you glad this trend started? Don’t you wish you could go and thank one of the first people to introduce a Let’s Play series to the world? Well you can. Because the roots of the modern Let’s Play are found in Japan, on national TV, and still today. 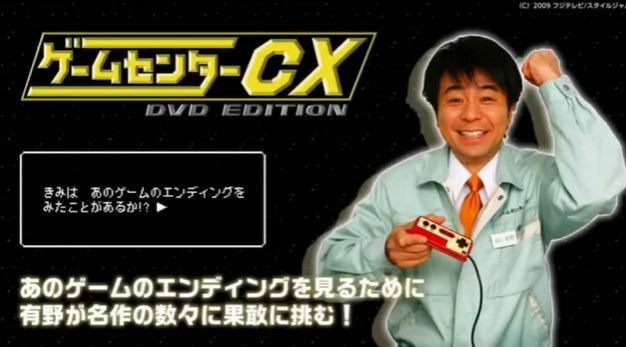 There is some debate over who actually started the Let’s Play trend (and what is a true Let’s Play), but I like to consider it the variety show from 2003 known as ゲームセンターCX (Game Center CX). This is everywhere now. But in the early 2000s before YouTube it was mostly unheard of. Game Center CX is fantastic. The host Arino Shinya is charismatic and funny. 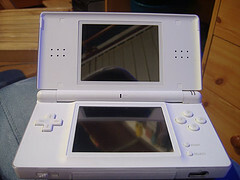 The games chosen are usually the more frustrating ones that are difficult to win. This show not only teaches you all the video game vocabulary you need, but the retro games are often ones that never made it to the West. 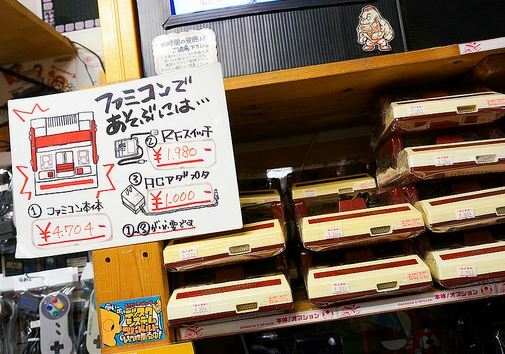 This gives you a great look into what you missed out growing up as a child owning a Western NES or SNES (and not a Famicom or Super Famicom). Even when the show covers a game we know of, the Japanese version often differs a little bit, both in sound and story (due to translation), so it’s fun to compare the two. On top of the standard Let’s Play structure, there are many real world video game related segments. Arino will interview famous people in the video game industry. He’ll check out new gaming trends, and go to gaming events. He travels abroad and finds video arcades to play at. Arino is a pro at what he does and it shows. The only thing he needs to work on is actually becoming a better video game player! But the fact that they make him sit in a room and finish a game, whether that takes 4 hours or 12 is enjoyable (and slightly sadistic) to watch. 13 years and over 200 episodes. All professionally made, with growing quality every season, edited and refined into pure retro gaming bliss. He’s so popular that even Nintendo sometimes hosts his videos on their official channel. There are a lot of episode to go through. I think the best way is just to pick a title that you like and start watching. You’ll have more fun getting nostalgic over something you’ve played. But make sure to check out all the Japanese-only series you’ve never heard of. And really, anything he does is guaranteed to make you laugh. You can even buy his DVDs covering all of his back seasons on Amazon. Definitely worth it! Anyone a fan? Do you recommend any specific episodes? 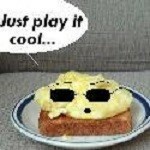 The best thing about Arino is that he is not a great game player, but he has a great sense of humor about it. I was wondering how there wasn’t any mention of this show here before. As a rule, any murder mystery or trivia game they do is pure gold. Out of This World is also a great episode. Tokimeki Memorial, Densha de Go!, SOS, and Battletoads too. There was also a game I forget the title of where you move a pair of penguins symmetrically that has Arino dispensing romance advice. … I’ve seen a lot of these. You really can’t go wrong with any of the episodes. 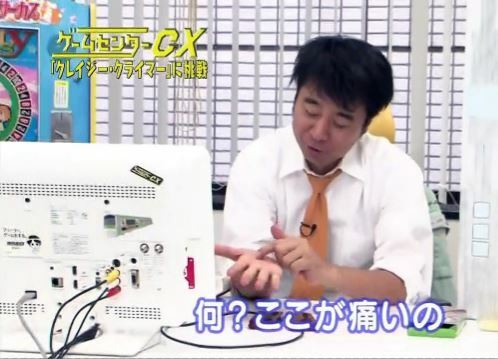 Also a neat thing was a certain website’s posters who were unofficially translating the show helped make GameCenter CX’s USA visit show a surprising success for them. Which I think was a big part of how the lead translator got contracted by the show to produce English subtitles for their western release of some of the DVDs. My personal favorites are Mario 64 and Zelda 3 (ゼルダの伝説 神々のトライフォース) . I love this show, and haven’t watched any eps in a while. Will have to fix that.